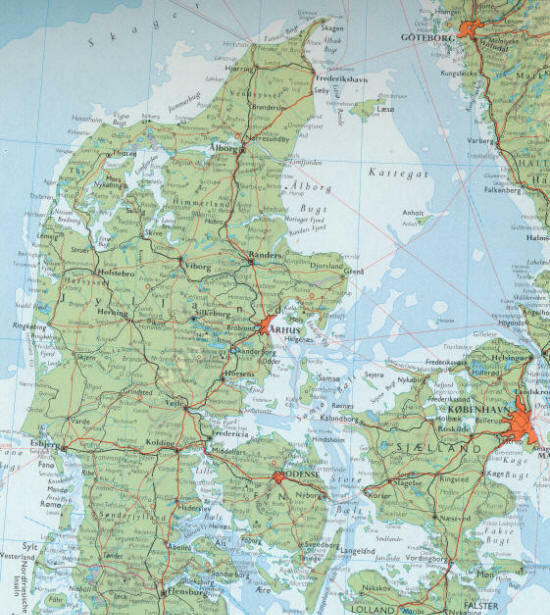 The History of Carl Roulund`s Family in Denmark. 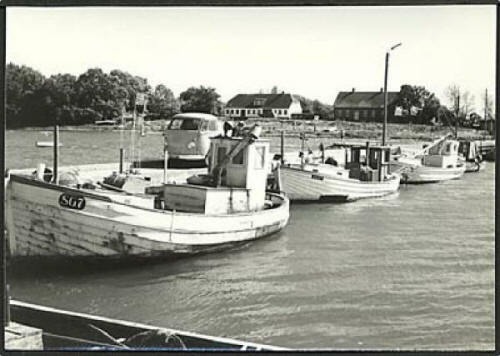 Carl Roulund was born in Bojden, a little village near the sea, where people made a living from fishing and farming. 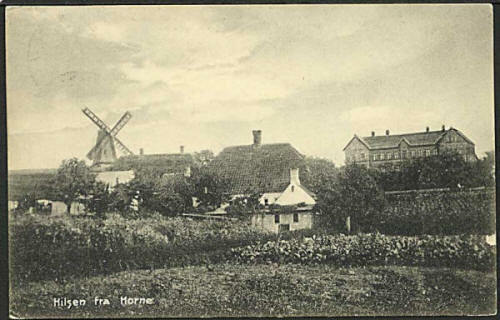 The village had a few hundred inhabitants and lay in Horne parish near the provinsial town Faaborg on the island of Fyn in Denmark. Carl was born the 21th. 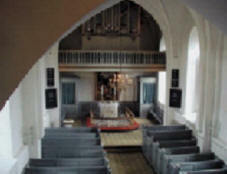 of December 1850 and Christened in Horne Church the 16th. of February 1851. He was number eight out of nine brothers and sisters. In October 1873 he emigrated from Denmark to USA with his fiancée Hansine Petrine Jeppesen . They followed Hansine`s five years older sister Maren Jeppesen, who emigrated 6 monts before. Carl Roulund`s parents Rasmus Nielsen Roulund and his wife Kirsten Pedersdatter were maried the 9th. of April 1839 in Horne Church, and two months later the 23rd. of July 1939 they were going to have their first child, who they were going to name Mads Rasmussen Roulund, but unfortunately he only lived for one week and died the 31st. of July 1939. He was buried on Horne Churchyard. 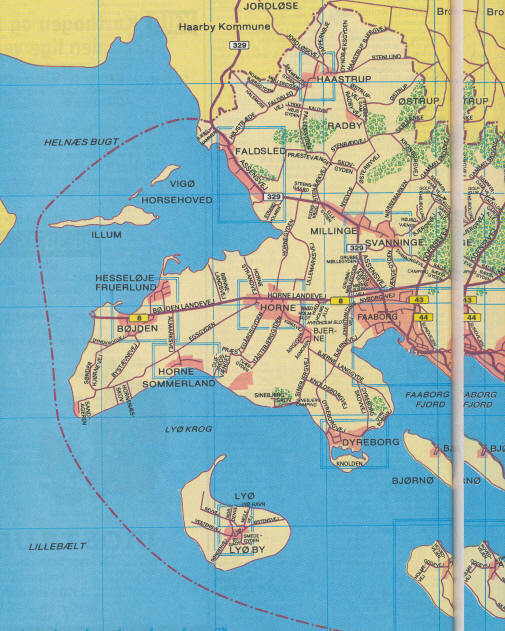 Map showing Bojden, Horne, Faldsled and Faaborg. 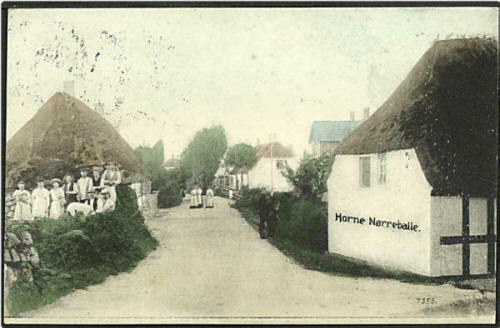 Four Postcard Photo`s from Horne about 1900.
nr. 2 Mads Rasmussen Roulund in the year 1841.
nr. 3 Niels Peder Rasmussen Roulund in the year 1842.
nr. 4 Caroline Roulund in the year 1844. Twin. nr. 5 Anne Roulund in the year 1844. Twin. nr. 6 Karen Dorthea Roulund in the year 1846.
nr. 7 Rasmus Roulund in the year 1848.
nr. 8 Carl Roulund in the year 1850.
nr. 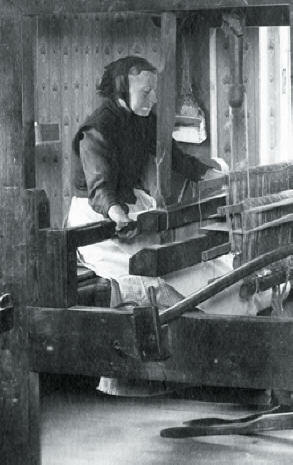 9 Hanne Marie Roulund in the year 1853. Carl Roulund grew up in Bojden with his parents and his brothers and sisters. 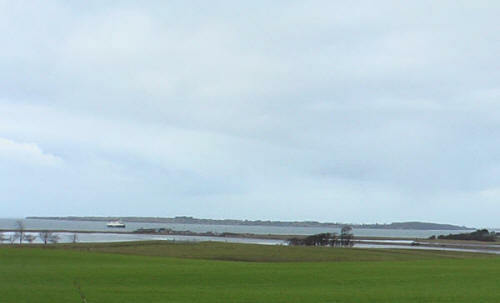 His parents had build there house ( a little farm) in Bojden in 1840 on a place with a nice view over the sea. 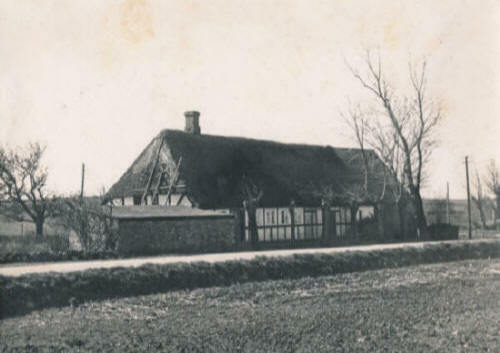 The house that Carl Roulunds parents build in 1840, and where he grew up. View from the house showing Bojden Bay. Photo from February 2013. The 23rd. 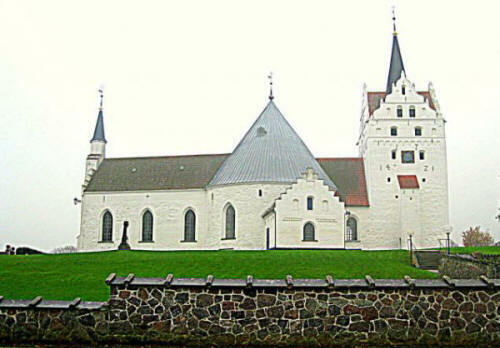 of April 1865 Carl was confirmed in Horne Church and 8 years later he emigrated from Denmark to New York in USA with his fiancèe Hansine Petrine Jeppesen. Hansine Petrine Jeppesen was born the 29th. 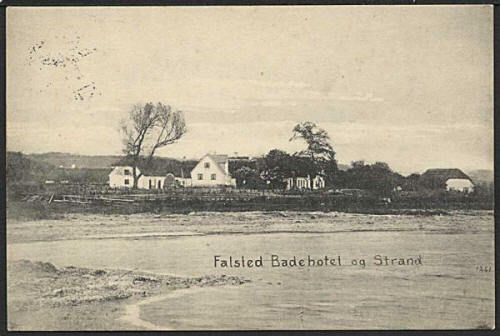 of December 1852 in the village Faldsled in Svanninge parish near Bojden. She was Christened the 30th. 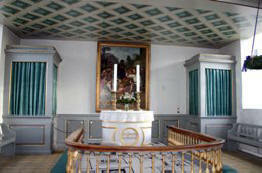 of January 1853 in Svanninge Kirke, in which she was confirmed too the 14th. of April 1867. 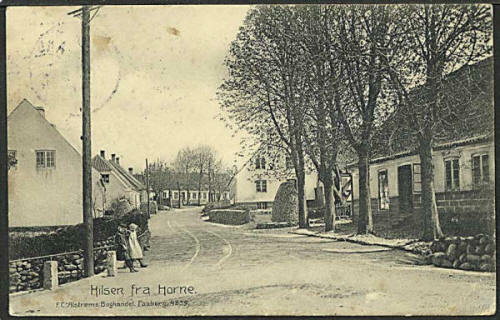 Her father Jeppe Nielsen was a village blacksmith in Faldsled. They arrived at New York with the S/S Italia in 1873. Age: 23 Destination: Philadelphia, Pa.
Age: 21 Destination: Philadelphia, Pa. The "Italia" was built by Robert Duncan & Co. of Port Glasgow in 1872 for Henderson Bros. which later became the Anchor Line. She was an iron built vessel of 2245 gross tons, length 306ft x beam 34.4ft (93.26m x 10.48m), one funnel, three masts, single screw and a speed of 11 knots. 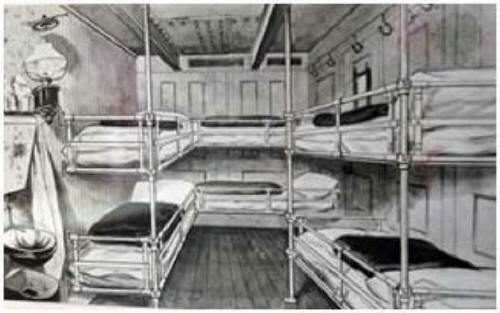 She had accommodation for 130-1st class and 700-3rd class passengers. Launched on 24/7/1872, she commenced her maiden voyage from Glasgow to Marseilles, Genoa, Naples, Messina, New York and Glasgow in December 1872. 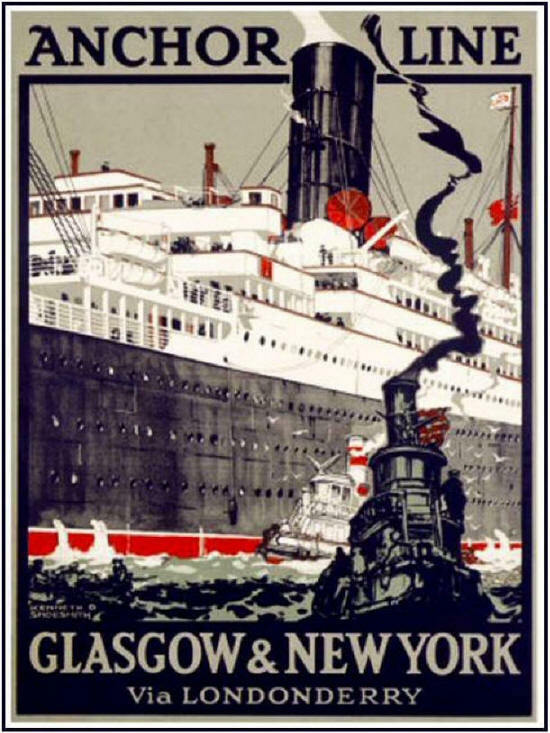 After two voyages, she was transferred to the Glasgow - New York [direct] service for ten trips commencing 2/7/1873 and then, in Sept.1874 resumed the Glasgow - Mediterranean - NY - Glasgow service. After eight voyages she transferred to the London - NY run for one voyage commencing 22/1/1877 and then from 1877-1880 was used on the Glasgow - Bombay run. In 1880-1881 she did two trips from Glasgow - Mediterranean - New York and on 25/5/1881 commenced running from Barrow - Dublin - New York. She commenced her last voyage on this service on 26/10/1881 after four trips and was transferred to the Glasgow - Liverpool - Bombay run for three voyages between 1881-83. From then until 1897 she was transferred to the Mediterranean - New York service and on 31/3/1897 left Genoa for Naples and New York on her last voyage arriving on 6/5/1897. On 24/2/1898 she went to the scrapyard in Italy. 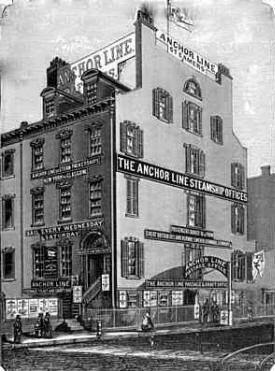 Anchor Line by Alexander Stephen & Sons . 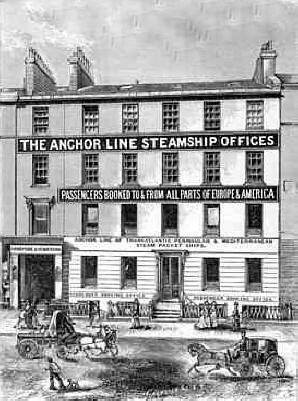 The Anchor Lines offices in Glasgow and New York. From Faldsled village where Hansine grew up. 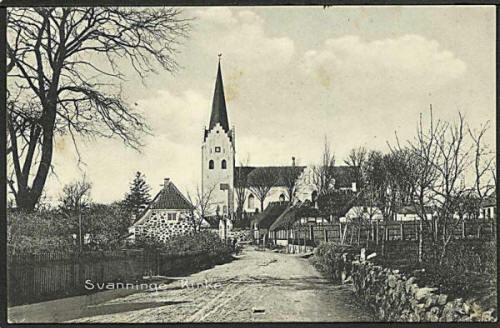 Svanninge Church in 1908 where Hansine was Christened and Confirmed. The house where Faldsled smithy lay. The Story of Carl Roulund´s sister´s and brother´s. Born the 10th. of March 1841 and Christened the 8th. of April 1841. He was a foster child at his grandmother until he was confirmed, and in 1860 he was a agricultural worker at a farm in Bojden. was born the 22th. 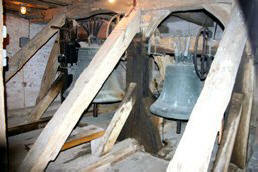 of October 1842 in Bojden in Horne Parish and christened the 10th. 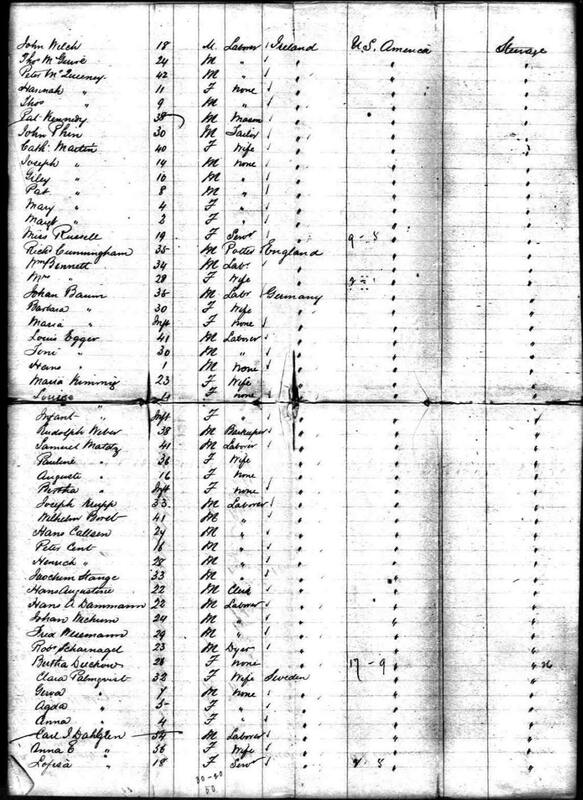 of november 1842 in Horne Church. 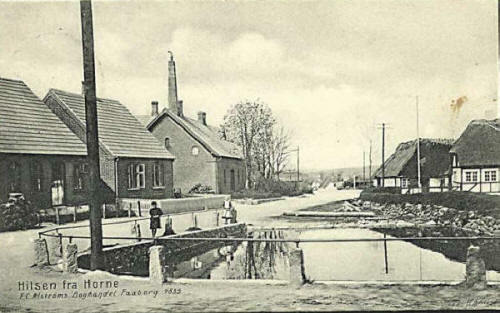 When he was 18 years old he worked on a farm in Bojden. He emigrated to USA in 1888 , but he went back to Denmark for a while. In 1908 he went back to USA again. Age: 45 Destination: San Diego, Calif. Birth place: ? Birth place: ? 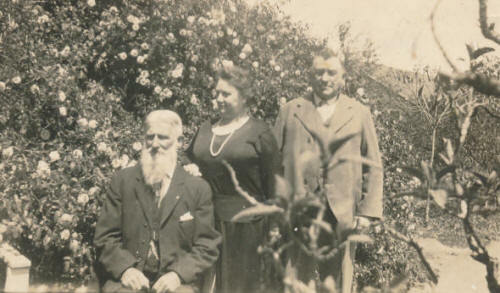 In Peter Roulund`s Garden when he was an old man. Was born the 8th. 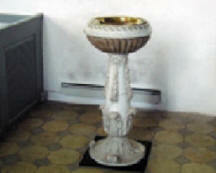 of December 1844 in Bojden in Horne Parish and Christened the 2nd. 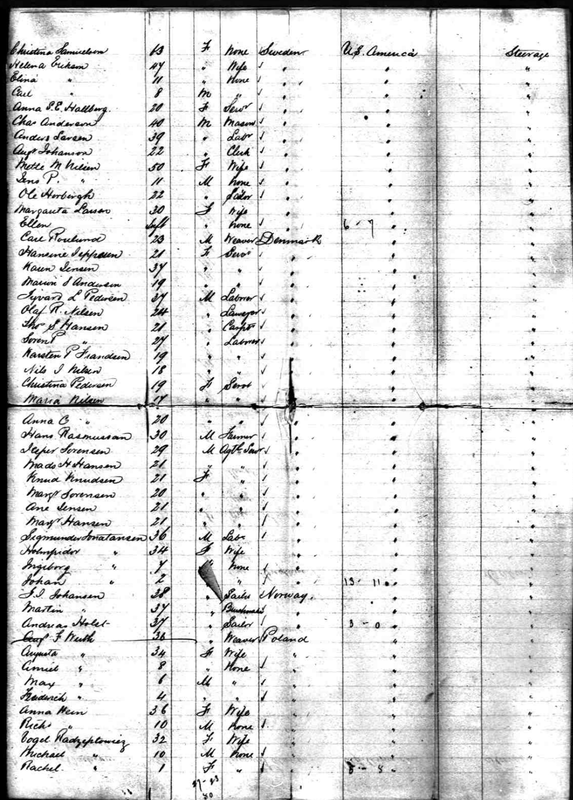 of February 1845 in Horne Church. She was a Twin. When she was 16 years old she worked on a farm at Horne Mark. Maried in Haarby Church the 23rd. 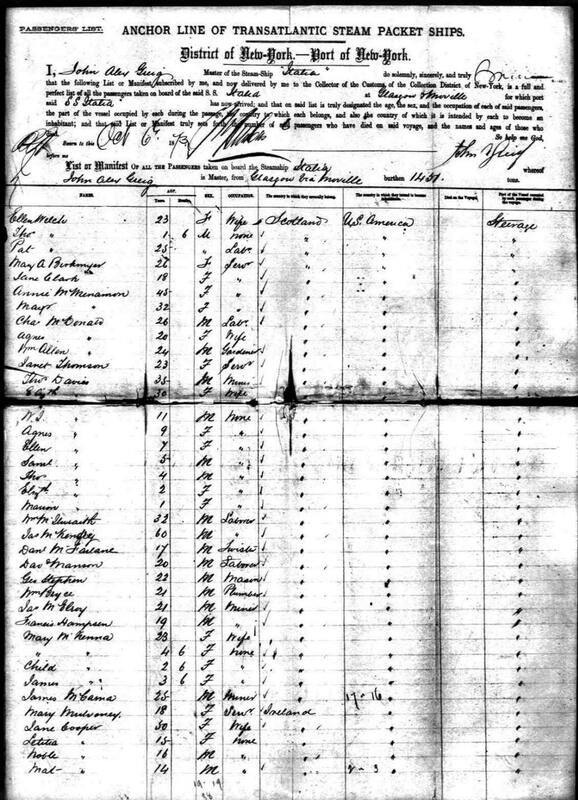 of January 1869 to Jørgen Larsen who was a weaver. Was born the 23rd. of July 1846 in Bojden in Horne Parish and christened the 2nd. 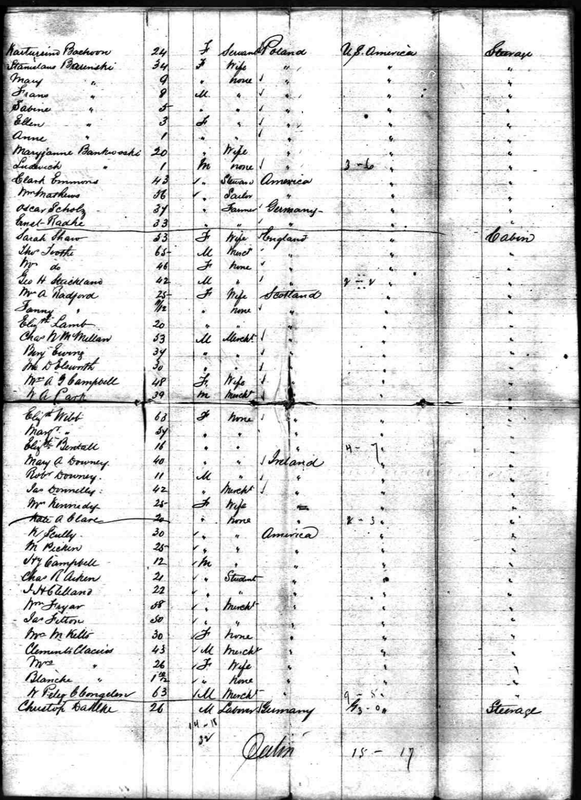 August 1846 in Horne Church. She died only 4 months old the 20th. of October 1846, and was buried on Horne Churchyard the 25th. of October 1846. Was born the 12th. of February 1848 in Bojden in Horne Parish and christened in Horne Church the 9th of. August 1848. 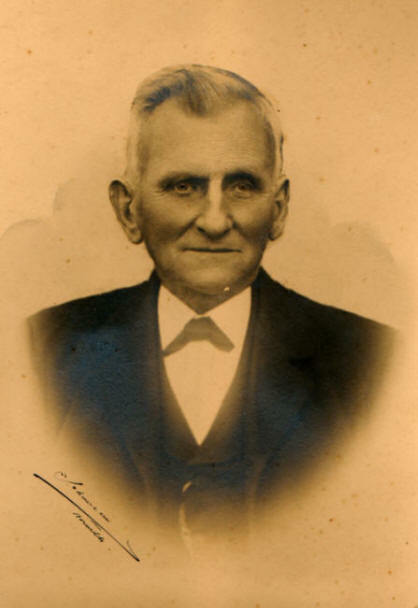 He was maried to Ane Marie Clausen the 9th of April 1875 in Horne Church. Rasmus Roulund i 1927. 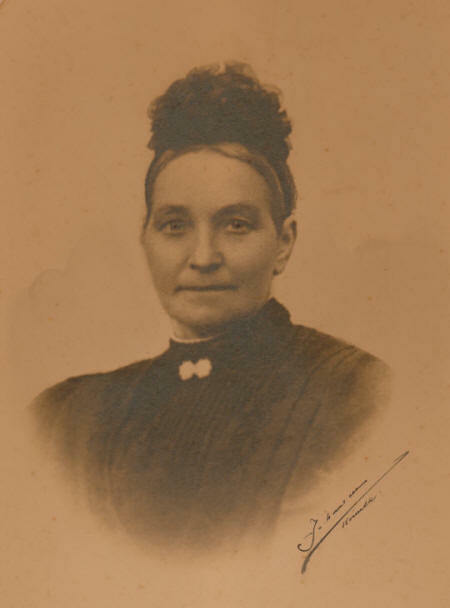 Ane Marie in 1900 at there silverwedding. 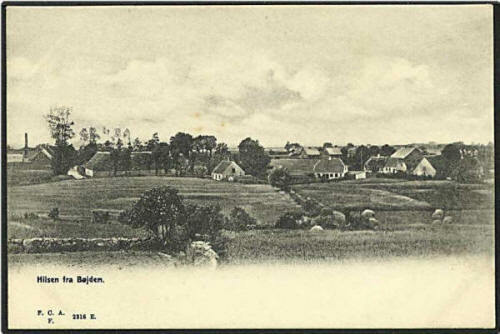 Rasmus Roulund took over his parent`s farmhouse in Bojden in 1875. 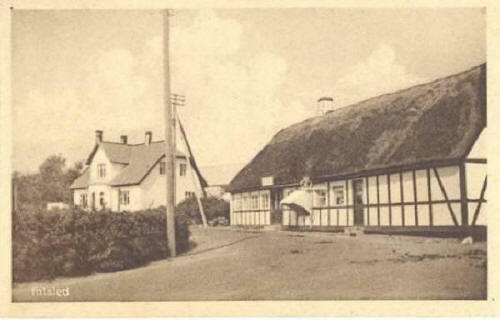 Rasmus`s childhood home where he grew up with his brothers and sisters. 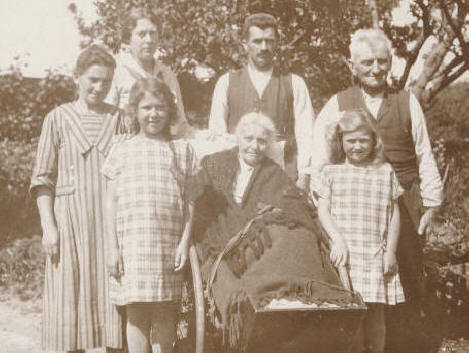 Rasmus Roulund and his wife Ane Marie in the wheelchair in 1927 the year when she died, together with their daugter and son in law Thora Roulund and Laurits Raun with their children Ellen and Roma. 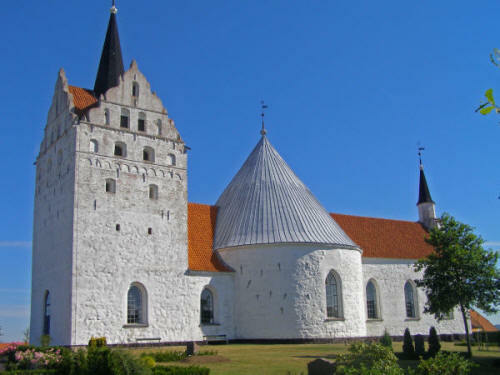 She was born the 28th of February in the year 1853, and was Christened the 7th af April the same year in Horne Church. Hanne Marie Roulund died the 2nd of April 1877 just 24 years old. She died two weeks after she has born a little girl. The girl was named after her mother and was called Hanne Marie, and grew up at her Grandparents in Bojden. The site expanded continuously. Feel free to contact me on Questions about Carl Roulunds history.